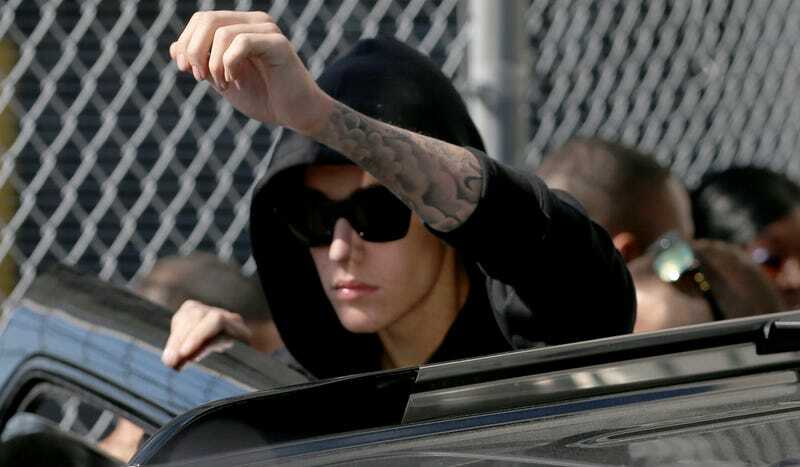 Think the story of Justin Bieber drunk street racing in Miami was over? Not even slightly. So, yes, he had booze and drugs in his system. But TMZ says GPS data shows he may not have been speeding in his rented Lamborghini. TMZ reported today it obtained the GPS data from the rented Lamborghini Gallardo Bieber was driving last Thursday when he was stopped and arrested by Miami Police, charged with a DUI. It's common practice for exotic car rental companies to fit GPS trackers on their cars. The data from the Gallardo in question was recorded going 27 mph just before Bieber being pulled over and arrested. That was actually below the 30 mph speed limit on the road he was on. After looking Bieber-rific in his mugshot, Justin Bieber has been in a load of trouble other places in the world, including New Jersey. But if the data is to be believed, he just might not have been street racing early in the morning.